After months of debates and Twitter arguments, it appears that the validity of UCF’s national championship claim has been officially settled. The NCAA record book listed two national champions for the 2017 season: Alabama and UCF. The Knights, who capped off a perfect 13-0 season with a Peach Bowl victory, finished as the only undefeated team in the nation last year. Their bowl win also came against Auburn, which beat both teams that played for the College Football Playoff Championship. 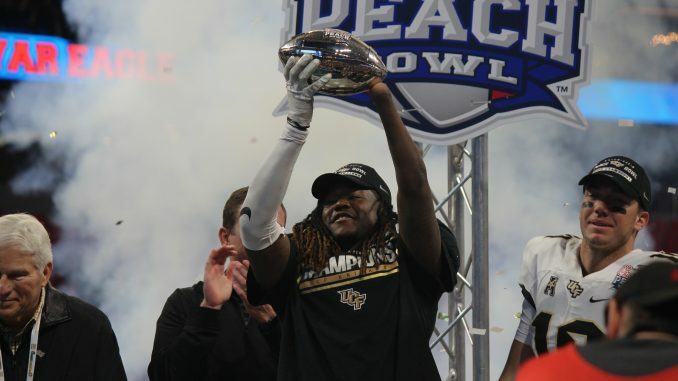 UCF has been very vocal about its championship claim, selling “national champions” merchandise, plastering the achievement on Spectrum Stadium and even paying out championship bonuses to its coaches. It appears that the marketing has paid off. The Knights will look to defend their championship when they kick off the 2018 season this Thursday at UConn.